We are a pioneering medical device company focused on transforming the lives of patients with difficult to treat cancers by applying our discoveries in bioelectromagnetics to targeted treatment of cancer. Our patient-based research using low and safe radiofrequency electromagnetic fields has led to the discovery of tumor specific modulation frequencies, which effectively block the growth of tumor cells without altering non-tumor cells. We have developed the TheraBionic P1 medical device, a portable device for home use, which received European regulatory approval of the treatment of advanced hepatocellular carcinoma in 2018. Our goal is to expand the use of the TheraBionic P1 medical device in several other indications such breast cancer, prostate cancer, pancreatic cancer, ovarian cancer, cholangiocarcinoma, brain tumors. The tumor-specific modulation frequencies can also be used for early diagnosis of cancer. 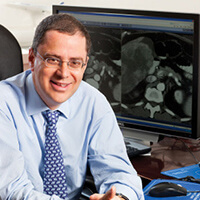 Boris C. Pasche, MD, PhD serves as Chairman of the Board of Directors and Chief Executive Officer of the Company. 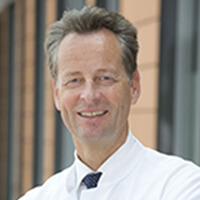 He is the co-founder of TheraBionic Inc., formerly TheraBionic LLC and TheraBionic GmbH, companies focused on the commercialization of the TheraBionic device for the systemic treatment of cancer. Dr. Pasche has served has extensive oncology as well as managerial experience. He received his MD and PhD degrees from the Karolinska Institute in Stockholm, Sweden. 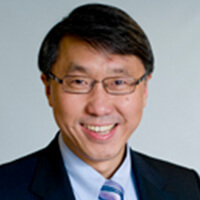 He received his training in oncology at Memorial Sloan-Kettering Cancer Center in New York and has held leadership positions as Founder and Director of the Northwestern Cancer Genetics Program and Chief of the Division of Hematology/Oncology of the University of Alabama at Birmingham. 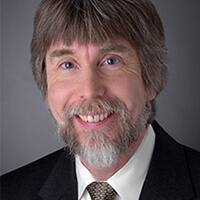 He is currently Chair of the Department of Cancer Biology and Director of the Wake Forest Baptist Comprehensive Cancer Center in Winston-Salem, NC. Dr. Pasche serves on the board of Rafael Holdings, Inc. (NYSEAMERICAN: RFL), a company with controlling interests in two companies focused on the development of new oncology drugs, Rafael Pharmaceuticals and Lipomedix. Dr. Grant is a member of the Board of Directors of TheraBionic Inc. and is the General Counsel of TheraBionic Inc. Dr. Grant is admitted to practice in New York and a member of the patent bar and has extensive experience with respect to the acquisition, management, protection and enforcement of intellectual property rights. Previously, while engaged full-time in the private practice of law he represented clients in connection with intellectual property litigation, licensing transactions, product development and M & A transactions. He also spent several years as general counsel of a NASDAQ traded biopharmaceutical company where he also co-led its business development team. Dr. Grant also is a practicing academic medical oncologist who has co-authored numerous papers and book chapters in the area of thoracic oncology and currently is an Associate Professor of Medicine at Wake Forest School of Medicine, and the Associate Director of Clinical and Translational Research and IP Development and Director of the Clinical Protocol and Data Management service at Wake Forest Baptist Comprehensive Cancer Center. Dr. Grant holds a medical degree from the University of the Witwatersrand in South Africa and is board certified in internal medicine, medical oncology and hematology, a JD from Fordham University School of Law and an MBA from the Collat School of Business at UAB in Birmingham. Valerie Pasche received her MD from the Brody School of Medicine at East Carolina University in Greenville, NC. She received her training in Anesthesiology at the New York Hospital-Cornell Medical Center in New York and at Northwestern University in Chicago. She has extensive experience with medical devices and compliance with FDA guidelines. Mr. Jonas is the Chairman of Rafael Holdings Inc. (NYSE: RFL) and Rafael Pharmaceuticals. 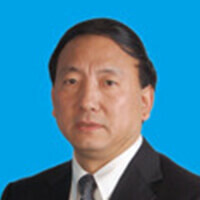 He is also the Founder and Chairman of IDT Corporation (NYSE: IDT), Genie Energy (NYSE: GNE), and IDW Media (OTC: IDWM). He was also the Founder and controlling shareholder of Straight Path Communications, Inc (NYSE: STRP), which was acquired by Verizon for $3.1 Billion. Mr. Jonas has extensive leadership experience in founding and growing public companies, and has sold multiple businesses in deals worth both hundreds of millions and billions of dollars. He received his B.A. in economics from Harvard University. 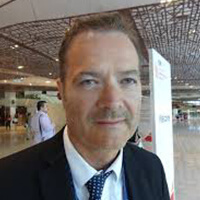 Alexandre Barbault is co-founder of TheraBionic Inc., formerly TheraBionic LLC and TheraBionic GmbH. 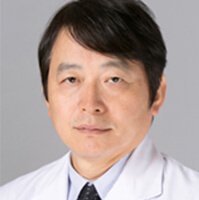 He oversees research and development related to the use of amplitude-modulated radiofrequency electromagnetic fields for the diagnosis and treatment of cancer.